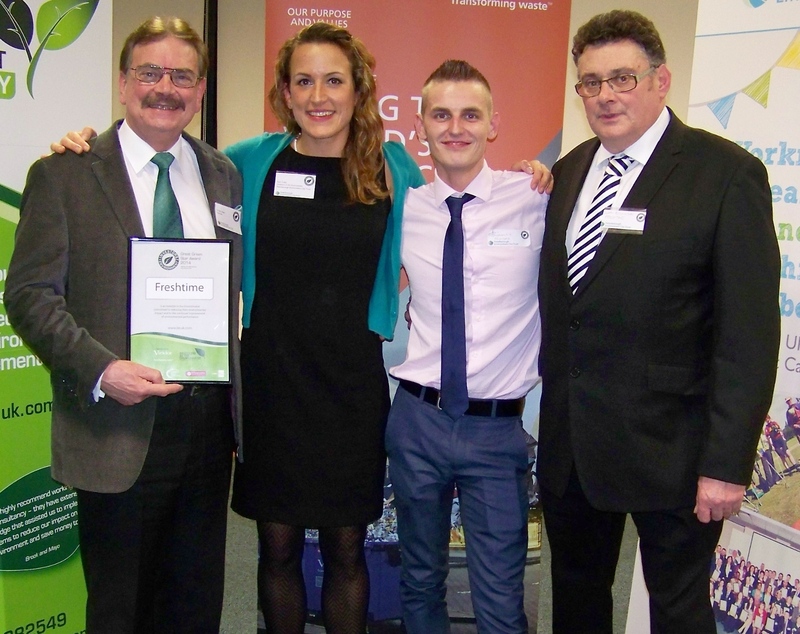 Freshtime’s Health, Safety and Training Co-ordinator Graham Dayes was at a ceremony in Peterborough last week to receive the award, which came after an environmental audit was conducted at the Boston-based firm. Graham is pictured (left) with Kim Coley of Investors in the Environment, Freshtime Production Co-ordinator Edgars Medveckis and Senior Production Co-ordinator Ewen Nicolson. The iiE scheme helps businesses by improving their energy efficiency and reducing their environmental impact. At the same time it ensures businesses get recognition for their green initiatives. The Green Star Award is the highest achievable level within iiE. As part of the process, an on-site audit is undertaken by iiE and businesses must demonstrate an agreed improvement in energy efficiency over an agreed baseline figure, as well as three additional essential actions. To qualify for the Green Star Award businesses must also calculate their carbon footprint and set targets for reduction. Freshtime is now classed as a green leader by Investors in the Environment and will help to set the standard for the environment amongst businesses. “We are extremely pleased with this accreditation, which gives us a truly independent assessment of the environmental work and projects we have successfully completed,” said Graham Dayes, Health, Safety and Training Co-ordinator at Freshtime.